Sun, sea, sand, history, wildlife and so much more, Arugambay is the ideal holiday destination all-year-round. Do you love the beach and sun, or wish to ride the waves? 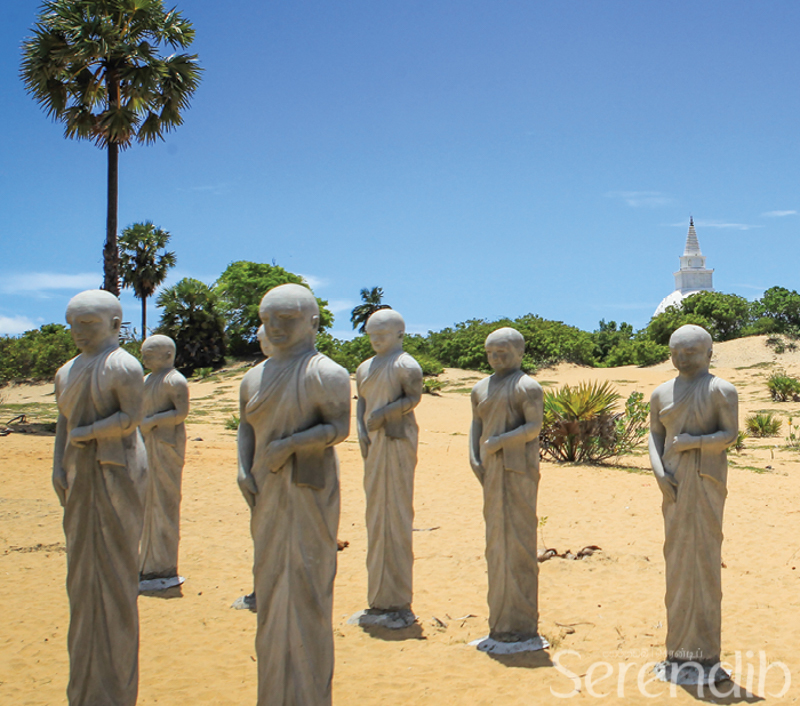 Maybe discover the history of the area or experience the wilderness of Sri Lanka? Arugambay has something for everyone. It is a laid-back and relaxing place where you simply forget all worries and enjoy the beauty and simplicity of life. 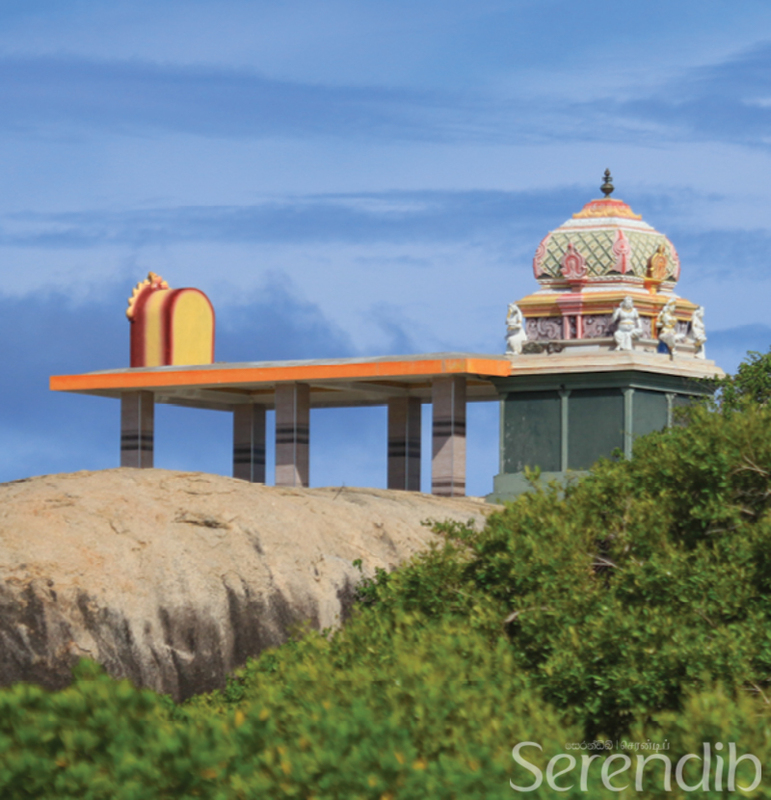 A multi-cultural hub that reflects the diversity of the island, Arugambay is home to all communities and religions. With visitors from around the world flying in specially to spend their holidays in Arugambay, the atmosphere is one of fun, food, and coastal bliss. Arugambay and its surroundings have a long history as it was once a part of the ancient Magam-Ruhuna Kingdom. 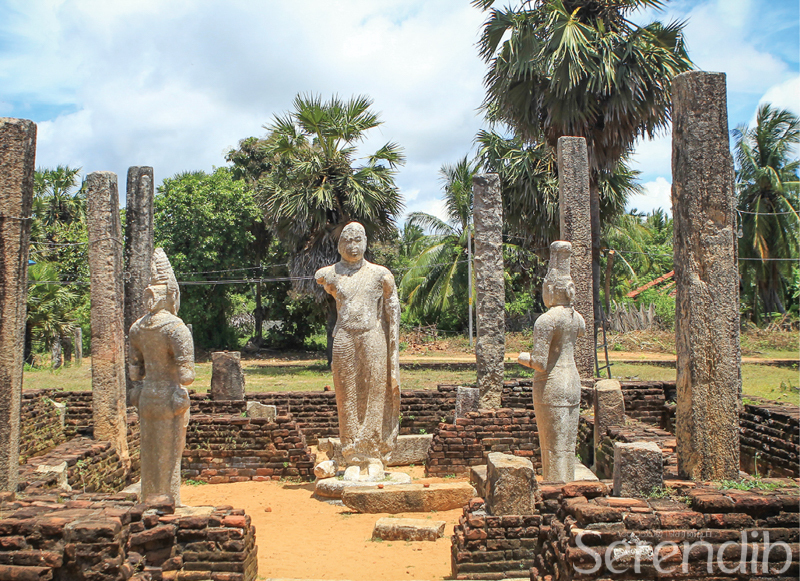 There are many archaeological sites to visit, from these Muhudu Maha Viharaya in Pottuvil and Magul Maha Viharaya in Lahugala are significant and reflect the story of a great Princess and King who shaped the history of the island. The mesmerising blue ocean glistened in the sunlight and the pure white stupa rose above the land. Muhudu Maha Viharaya is said to be the location at which the boat carrying Princess Devi docked on land. According to the annals of history, King Kelanitissa of the Maya Kingdom, sacrificed his daughter, adorned in gold, to the raging sea. King Kavantissa of the Magam-Ruhunu Kingdom hearing of this, placed all men in his kingdom on watch for the boat carrying the princess. Having passed the coastal belt, the boat reached the calm shores of the temple and she was welcomed on land. After the bathing ritual, she proceeded to Magul Maha Viharaya for her marriage to the ruling monarch King Kavantissa. Princess Devi later became known as the Great Queen Viharamahadevi. The story of her journey and arrival in the Eastern coast is also believed to have contributed to the names of the villages such as Komari (derived from ‘Ko Kumari?' meaning where is the Princess), Arugambay, (‘Ara Gam Bokkey' meaning near the village by the sea), Nainativu and Akkaraipattu, derived from nindagam (villages) and akkara dahaya (ten acres) that were presented to those who helped in the search of the Princess). On the way to Kumana, one can also visit the Kudumbigala Rock Monastery and the Okanda Temple. The story narrates that the Princess and King met before an Arahant monk. And, this is reflected in the remaining structures of the ancient temple; one stone statue is a feminine figure adorned with jewellery, while the male figure depicts royalty. The two statues face the serene statue of the Buddhist Arahant monk. Stone pillars and slabs of yore are interspersed with more recently built statues and structures. Yet, the allure of its past is still felt by those that venture forth. Magul Maha Viharaya in Lahugala is located inland and within a grove of trees. The complex is surrounded by a rampart with each section clearly visible. Magul Maha Viharaya or the temple of the wedding is believed to be the site at which the marriage ceremony of Princess Devi and King Kavantissa was held. 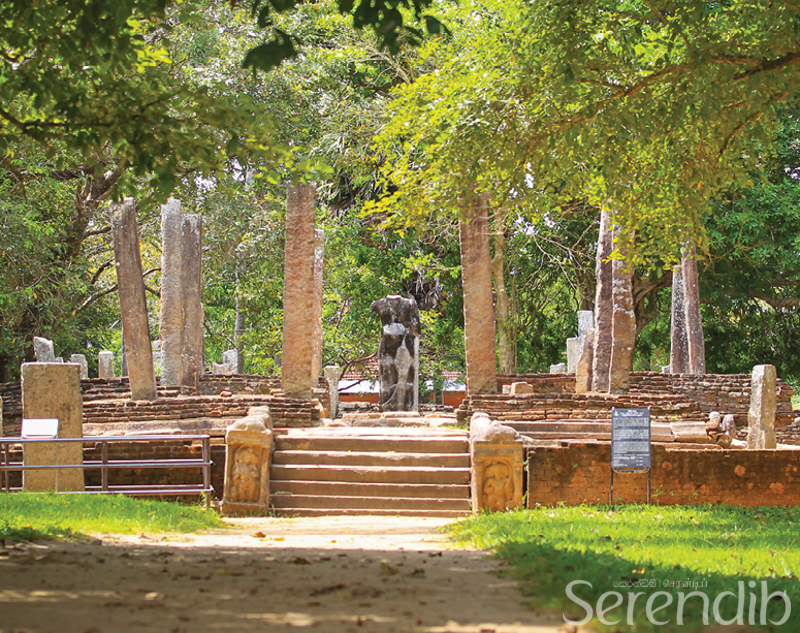 Though subsequently the premises became a temple, the intricately carved poruwa (decorated platform on which wedding rituals take place) still remains and it is said that this later became the Bodhigaraya or enclosure for the Bo tree. 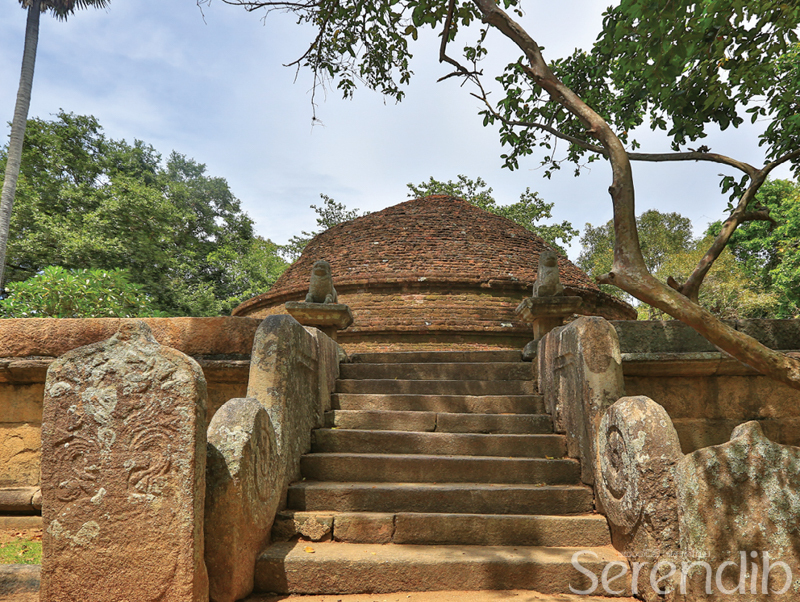 Another unique element at this temple is the moonstone from the Anuradhapura era within the Pohoyagey (chapter house). It is the only moonstone in the country that has a human form, as the mahout can be seen atop the elephant. The resplendent Stupa and the Pilimagey (image house) all reflect the significance of the temple. It is a temple that had been a witness to a royal wedding and had throughout the years held the patronage of the monarchs. While the function and structures may have changed with time, the aura of royalty still remains. 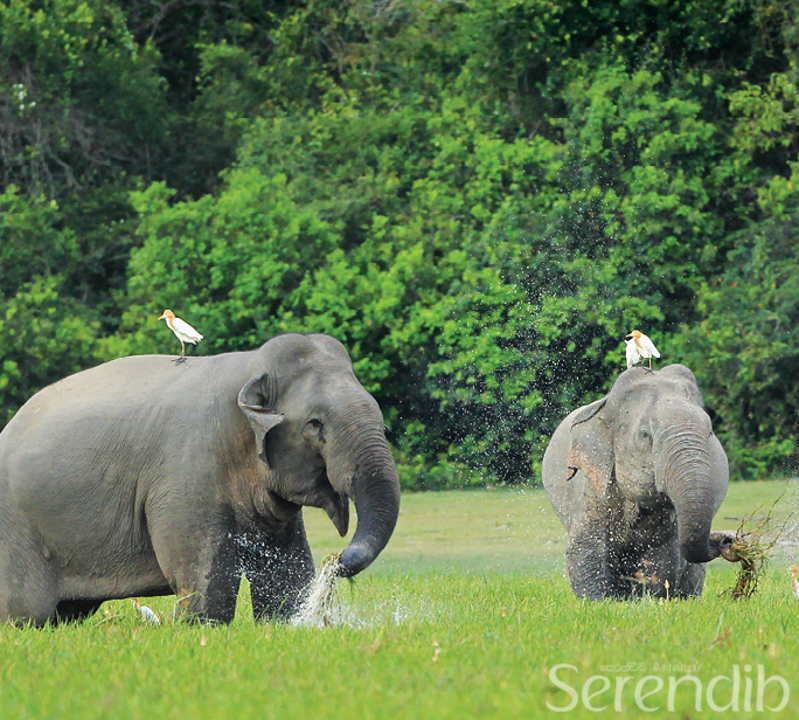 The wild reigns around Arugambay, while you will definitely see elephants along the road or on the road. Kumana and Lahugala National Parks will provide you with an experience to remember. The best time to visit a national park is in the afternoon as animals tend to come out when the heat of the day recedes. Kumana National Park is one of the largest parks in the country. 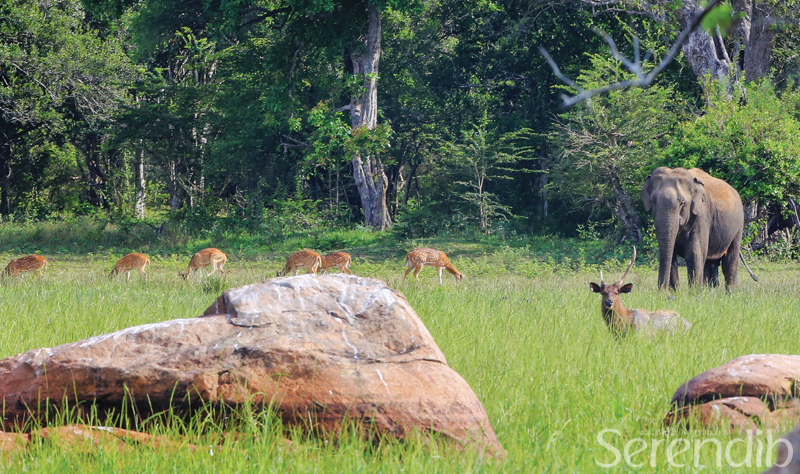 Spanning 35,665 ha, it is home to many animals including the elephant, leopard and sloth bear. Rich in diversity, Kumana is also a renowned bird sanctuary where many migratory birds have made it their nesting grounds. On the way to the park, one can also visit the Kudumbigala Rock Monastery, a place of meditation and the Okanda Temple, a kovil dedicated to Lord Murugan, known for its spirituality and divinity. This temple is also one of the main stops of the annual Paada Yaatra from Jaffna to Kataragama. On our trip, we journeyed through dry scrubland, sandy terrain and lush greenery. We were able to observe elephants, wild boar, spotted deer as well as rabbits, peacocks and crocodiles in their natural habitats. One can journey through the park for hours as wildlife roam freely. 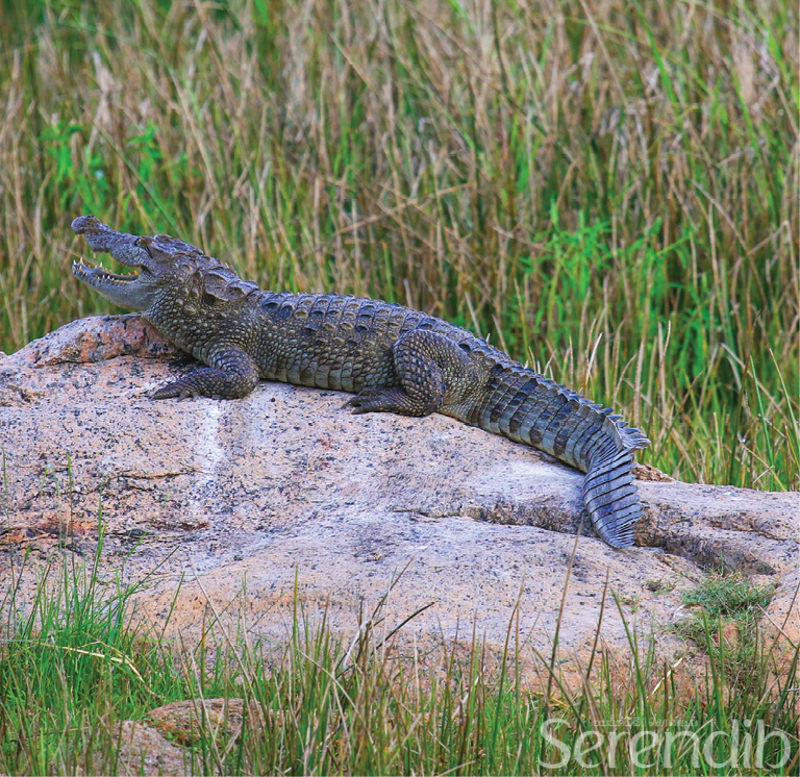 The elusive leopard nor the sloth bear came our way, but we were not disappointed as the wildlife that we saw mesmerized us. A visit to Arugambay would not be complete if you do not enjoy the sandy beaches. Bask under the sun or visit the surf points. Lahugala National Park is a relatively smaller park. As you journey along the sandy roads through dense forest, the sounds of the wild pique your senses. The animals here are not used to humans as such with the slightest noise, they will run away into the thicket. 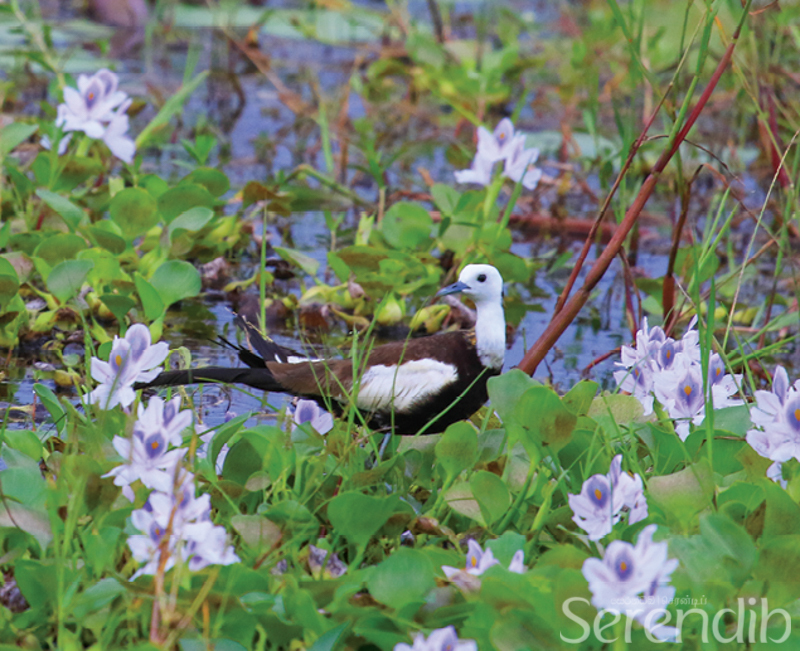 At the Kitulana Wewa, there is a small platform where one can enjoy the beauty of nature. Elephants tend to relax and feed in the waters as their favourite Beru grass can be found in the reservoir. Water for agriculture as well as for use in the village is provided by the Kitulana tank. The proximity to the village is clearly discernible as daily life can be heard from the distance. As we watched, two large elephants grasped the grass in their trunks and ‘swished' the water before munching on the fresh grass. Aquatic birds hovered near them, reflecting co-existence. The Maha Wewa was vast and stretched a great distance. While elephants are said to be seen here too, it was not so on that particular day. Birds nested atop trees and their calls could be heard through the silence. Peacocks, wild buffalos and many more can be witnessed at Lahugala National Park and is an ideal excursion for wildlife lovers. A visit to Arugambay would not be complete if you do not enjoy the sandy beaches. 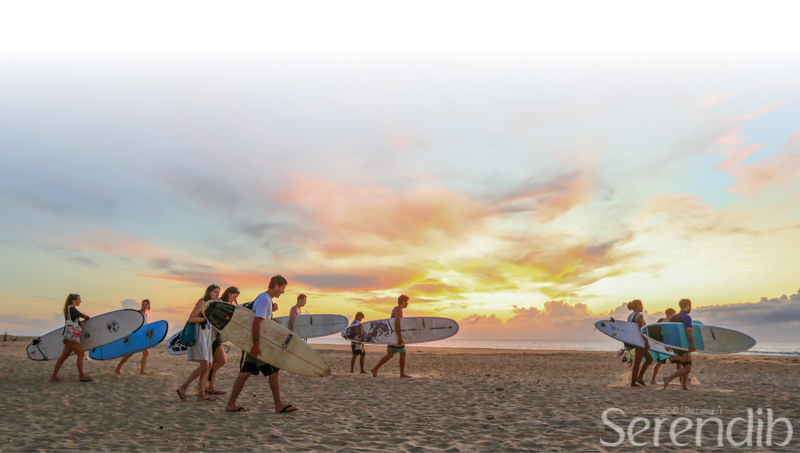 Bask under the sun or visit the surf points rolling with the waves renowned across the world. Arugambay Point and Whisky Point are two of the best surfing points. 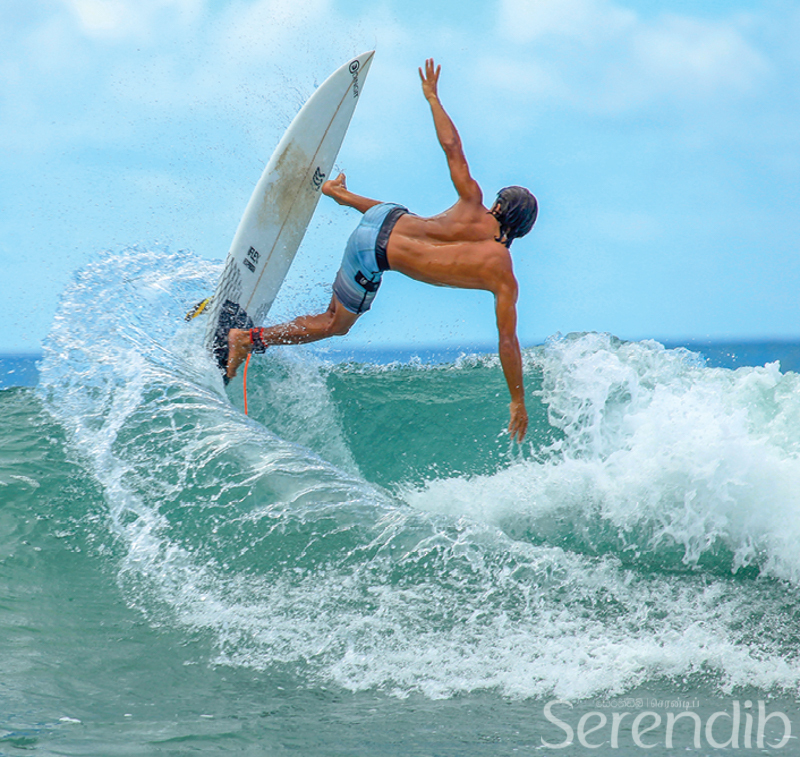 You are bound to see surfers heading to the beach early in the morning to catch the waves. Even during the day, when the sun is shining bright and if the waves are good, then the surfers are there! 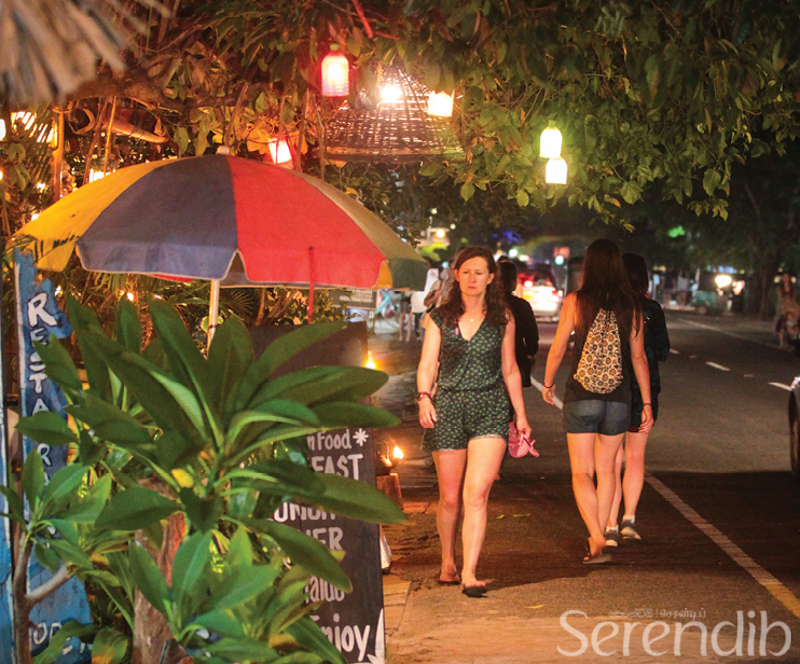 As night approaches, the main street of Arugambay town glitters with lights. 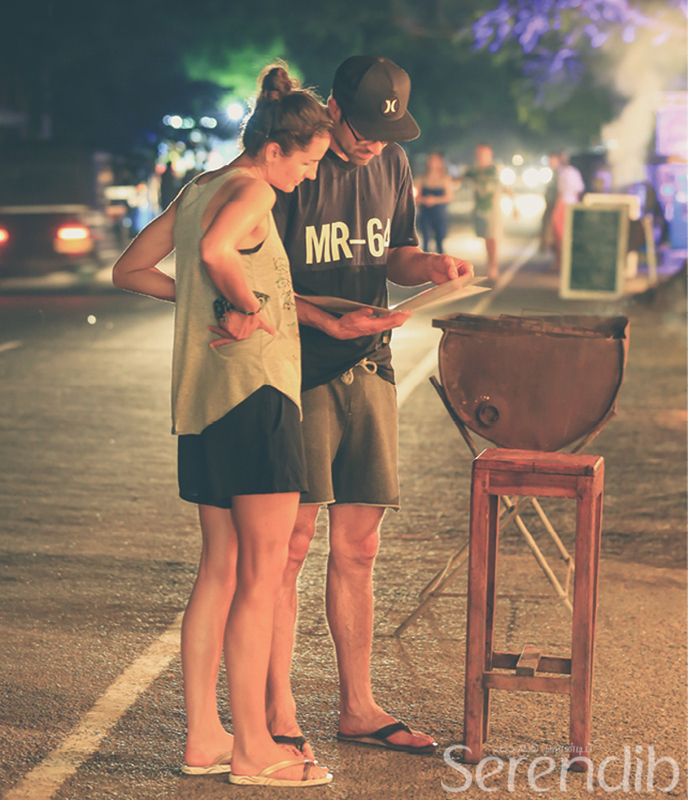 BBQs are prepared on the road. Hoppers, roti stands and crunchy snacks are available to munch on before dinner. The shops too have various items that you may wish to have. Sounds of cutlery and laughter can be heard as the flavoursome seafood dishes are enjoyed. As the echoes of the crashing waves and cooling breeze relax you, it would soon be apparent that Arugambay is the best place for a holiday.